This year, LBDI will take place October 22-26, 2018. 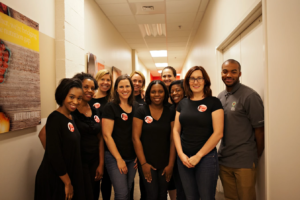 The Junior League of Atlanta members will wear the same black dress or outfit for five consecutive days with a pin that requests the public to “Ask Me About My Dress” with the goal of sparking conversation and spreading awareness of the initiative and its objectives. Donate to The Cause: 102 amazing women will be raising money for the JLA throughout October 22-26, 2018. Our goal this year is to raise $102,000 – please help us to get there! Visit our fundraising site and make a donation today! We invite corporate partners to assemble advocate groups to increase awareness of our efforts. 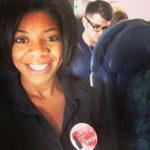 Wear a black outfit and an “I support LBDI” sticker during the week and encourage others to learn more at the LBDI CauseVox page and learn more about the JLA members who have stepped up to Advocate this year! Contact Melissa Brogdon, LBDI Chair, to learn more about how your company can partner with LBDI. Donate To The Cause! Our amazing 102 women will be raising money for the JLA Annual Fund. Our goal this year is to raise $102,000 – visit our fundraising site to help get us there! Share A Statistic! Post a poverty statistic that affect our city and state to your social media accounts. Also, repost LBDI promotions throughout the week to engage your social networks. Tag @JLAtlanta #LBDIJLA so we can see!